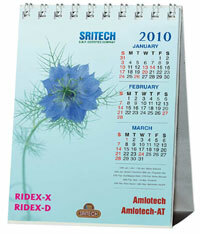 Calendars printing is another service provided by Design Concepts. When calendars are gifted to a customer, the print, image, design can leave an long-lasting impact relating to your business and your company. With proper designs, calendars turn into long lasting and effective tools for your business. At Design Concepts we bring your calendar printing projects to life and will help you produce a calendar that will bring in new customers for you all year long. 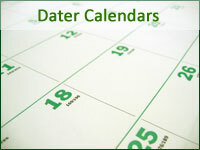 We print calendars for you with full-bleed and full color throughout, with binding of your choice and in varied sizes. We provide the best calendars printing services, custom calendars printing services and color calendars printing. Spiral Bound, Wire-o-bound, Patti with hanging option. Fully customizable Calendar printing is the best way to stay in front of your customers all year long. Printed full bleed with the option of a pre-drilled hole, calendars hang on the wall with a full color 11” x 17” printed image. Plus, your logo is on every page! Our calendars are printed as 28 page full-color booklets with two paper options. Choose either 130gsm of Matt or Gloss art paper or 170gsm Matt or Gloss art paper with a perfect coating (optional) in sliky, matty or glossy finish. We have full arrangements of Table Calendar Printing and binding. We can make out a fiber stand, we can make out a board stand with a plain or printed pastel on it. Just to leave that professional impression on your client. Both wiro-obound and siral can be done.